The Early Years Quality Improvement Project is the largest Early Years Project in the country, funded by the DFE and National College. 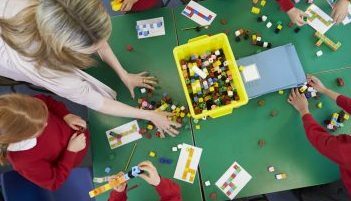 The main aim is to raise attainment in PVI’s and school Early Years settings in three geographical areas – Stoke-on-Trent, Staffordshire and Staffordshire Moorlands. The target is to ensure that children at the end of Reception leave with a GLD that is in line with or above national average. The project started at the beginning of the Autumn Term and we caught up with Amy Bell (Project Lead) and Linda Jones (Project Manager) to find out more and see how it is going so far. Linda explained that there is also a suite of training packages that have been developed, which in most cases are available free of charge or at a low cost to the settings being supported. With all this great work being done it is important to capture the impact. To find out more about this exciting project and the training courses please click here.